I repaired one of these amplifiers end of 2010. Both channels were mute. Power LED (green) was on. My problem was a small capacitor (the only small one, 10uF) on the power supply board. 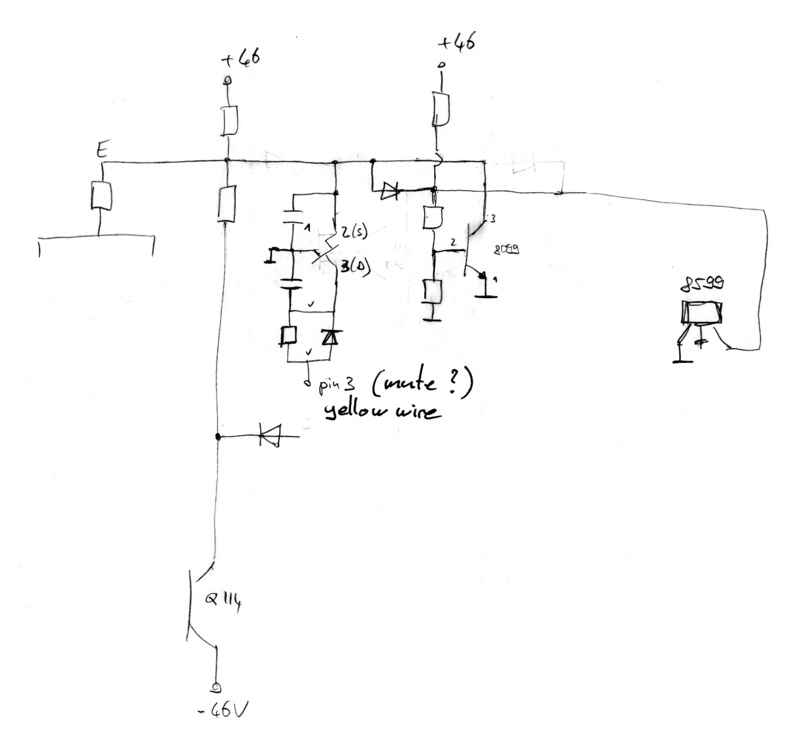 Without this component (broken or disconnected), the voltage on the yellow wires (mute signal ?) 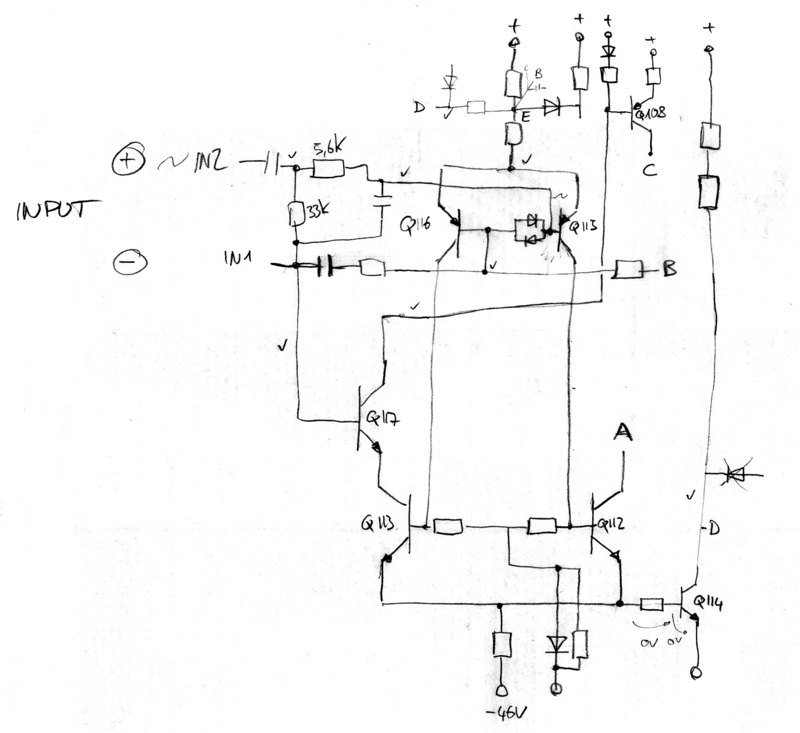 was not low enough (it should be at about -20V) and both amplifiers were muted (see JFET on the schematics below). 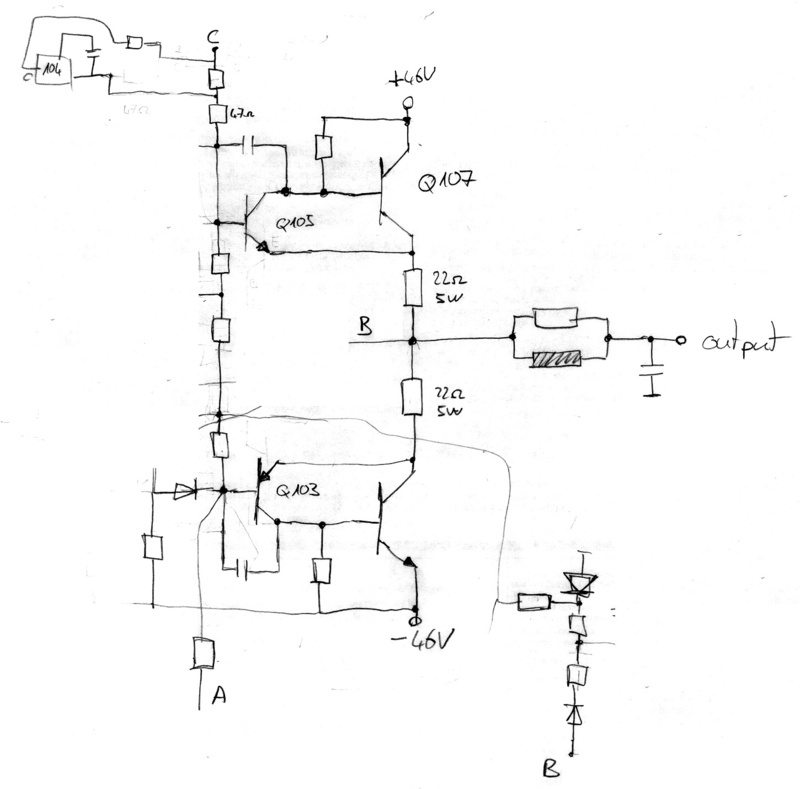 I searched the service manual or the schematics of this amplifier but found nothing.